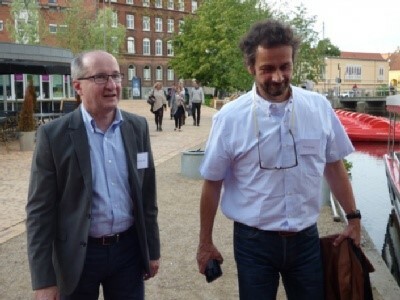 What’s it like to be a professor and senior research fellow in Odense? Would you recommend the University of Southern Denmark and Odense University Hospital to research colleagues in your network? What can we do to help you get accustomed to a new culture and organisation? These are some of the questions that six foreign professors will be asked by the event organisers Inspiring Denmark and OUH’s Director Kim Brixen at a meeting aimed at expanding the horizons of all participants. 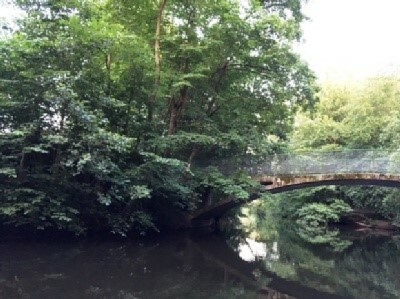 There’s lively chatter on the H.C. Andersen riverboat, as the ducks seek cover at the water’s edge and the tree canopies create a summery, jungle-like atmosphere. One of the participants is Professor Martin Tepel, a consultant at the Department of Medical Nephrology, who has worked at OUH/SDU for five years. “Moving to Denmark was no problem at all for me and my family,” he says. “The culture – including in my workplace – is fairly similar to Germany. The main difference for me was that I have to apply for funding for our projects myself, but I’m learning.” The Professor is being modest. He was recently granted DKK 2.5 million by the Danish Council for Independent Research for his research into improving the survival rates of patients who have had kidney transplants. Helping foreign researchers cope with all the rules Before the riverboat excursion, the researchers met employees from SDU’s International Staff Office and Camilla Høholt Smith, Director of the Work-Live-Stay association in Vejle. They went through a number of initiatives designed to help new international researchers and their families safely over the first hurdles, such as work permits, visas, NemID logins, housing and social integration of family members. It should be as easy as possible to get settled, so that no one leaves their job in Denmark due to the rules, regulations or other challenges that are commonplace for Danes. The foreign researchers should be so well integrated that they are happy to recommend OUH and SDU to their colleagues around the world. Tahir Masud, Visiting Professor at the Geriatrics Department, does so for a number of reasons. “For me personally, the mission to make the department into a research unit has been a success. All my Danish colleagues are very capable in their various fields and are willing to go the extra mile to complete our research projects and achieve our shared goals. I’ve also made many Danish friends over the years – which is also easy in Denmark, partly because we have the same sense of humour,” says Tahir Masud, who is a professor at Nottingham University Hospital. He is British with a Pakistani background. We need foreign researchers “In the past few years, we’ve been developing our highly specialised treatments. This is being done in collaboration but also in competition with the other university hospitals. So we need to be able to offer a research environment that’s attractive to foreign researchers. We need them – and we’ll continue to need them in the coming years,” says OUH Medical Director Kim Brixen. Attracting leading international researchers strengthens the hospital’s scientific work and increases international cooperation, which is key to meeting the goal of being among the best in the world. Conversely, Kim Brixen stresses that the professors can’t rest on their laurels when they start working at the University Hospital. This is precisely what Inspiring Denmark is there for, and during the day the organisers informed the researchers about the help that their regional non-profit skills development centre can offer with arranging a conference, from the bidding process to preparing materials for presentations and marketing. “When it comes to research, I’d like to highlight one benefit of the Danish system, which is that PhD programmes are closely linked to the health sciences faculties. Also, PhD students are given flexible opportunities to seek funding for their projects, although of course it’s not always easy to get funding. Being able to write your PhD thesis during – and after – your specialist medical training isn’t possible in many other places.